CAIRNS, Australia, Jul 10 2012 (IPS) - Coral reef scientists urged local and national governments to take action to save the world’s coral reefs and said they’d be “on call 24/7” to assist politicians and officials. Without global action to reduce carbon dioxide emissions and greatly improve local protection, most of the world’s coral reefs will be devastated and the benefits they provide billions of people will be lost in the coming decades, scientists warned at the opening of 12th International Coral Reef Symposium (ICRS) in Cairns, Australia. The international coral reef science community is in 100 percent agreement on the urgent need for action to protect reefs and more than 2,500 marine scientists have signed a consensus statement to that effect, said Stephen Palumbi, director of Hopkins Marine Station at Stanford University in California. 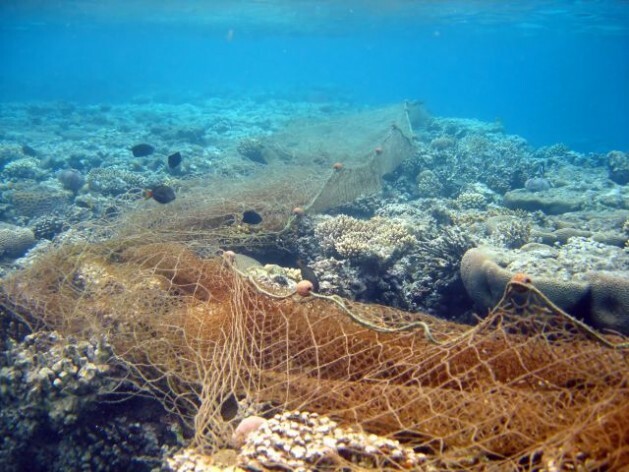 “It will take strong leadership by policy makers to make changes to protect reefs. We want them to know we are here to help, to provide the science to support those changes,” Palumbi told IPS. Protecting reefs locally may mean reducing fishing, preventing pollution, constraining coastal development and other measures that may be seen as politically risky or difficult, he acknowledged. However, scientists stand ready to back up local and global efforts to save reefs. “We have the science to defend those decisions. There is very good data on how to protect reefs and we know what works,” he said. For more than 2.6 billion people, seafood is their main source of protein, said Jane Lubchenco, a marine scientist and head of the U.S. National Oceanic and Atmospheric Administration (NOAA). Corals act as the nurseries and habitat for many fish species in addition to providing shoreline protection from storms. “Corals are extraordinarily valuable to humanity,” Lubchenco said in her address to the more than 2,100 attendees from more than 80 countries. “A study from Belize estimated that without reefs protecting the shoreline, storms would cause 240 million dollars in damages,” she said. Over the past decade threats to reefs have gone from “worrisome to dire”, she said. Before mid-century, half of the remaining reefs will experience severe bleaching due to rising ocean temperatures. Healthy corals can recover if bleaching does not last too long. Bleaching, overfishing, pollution and disease have largely wiped out the fabulous coral communities of the Caribbean. The region has lost 80 percent of its corals since the 1970s, said Jeremy Jackson, professor of oceanography emeritus, Scripps Institution of Oceanography. A few small well-protected areas like those around the island of Bonaire are doing okay, Jackson told IPS. Otherwise it is only “coral reefs that are too remote to be polluted or plundered that look great,” he said. However, in future, bleaching and increasingly acidic oceans will impact even the remotest reefs. Carbon dioxide (CO2) emitted from using fossil fuels like coal, oil and natural gas has made the oceans about 30 percent more acidic, researchers discovered less than 10 years ago. Oceans absorb one-third of this CO2, which has slowed the rate of global warming. The bad news is oceans are now more acidic and it will get worse as more CO2 is emitted. This is basic, well-understood ocean chemistry. Without major reductions in CO2 emissions, climate change’s “evil twins” of hotter oceans and more acidic oceans will leave perhaps only 10 percent of world’s reefs alive by 2070, said Robert Richmond, president of the International Society for Reef Studies and a marine biologist at the University of Hawaii at Manoa. Reefs have recovered from nuclear bomb testing in 1950s so they are tough, but the chronic impacts of pollution, overfishing, sedimentation and overfishing leave them weakened and incapable of withstanding disease outbreaks and the stresses of bleaching and acidification, he said. others email (phoenixtears111@gmail.com) please spread the goodness of Rick Simpson and his miraculous cannabis oil.